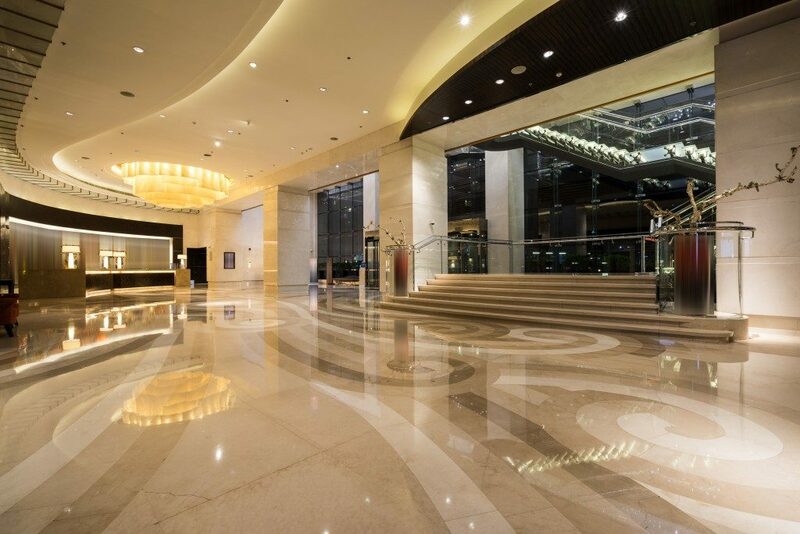 Epoxy is one of the most durable materials to use when it comes to coating flooring systems. Epoxy is made out of a combination of resins and hardeners. When these react together, the resulting material is a hard rigid plastic material, which is ideal for any surface cover. Epoxy is strong, durable and resistant to wear and tear. As a result, it is used on many industrial floors, heavy-traffic areas and surfaces with heavy use, such as hospitals and sports facilities. Why Should You Use Epoxy Flooring? If you want a durable and easy-to-clean floor cover, industrial epoxy flooring is the answer. It is ideal for industrial use due to its strength and durability. But how do you ensure the success of epoxy application on your floors? Although epoxy floors are tough and scratch resistant, they fail if not properly applied. Below is a list of the things you should do to ensure the success of epoxy application on your flooring. Before applying epoxy on any surface, you have to prepare it thoroughly. The floor should be clean and free of dust. Although the process is time-consuming, its end product will be fantastic. There are particular solvent-based epoxy products that become reactive when they get in contact with water. It is, therefore, crucial that the surface is dry before you apply an epoxy coating. You can ensure the dryness by making sure that no moisture is coming from underneath the floor and that there are no leaking pipes. When you use epoxy floor products that are stronger than the substrate, the epoxy layer will end up detaching from the cement. This situation happens when you use low-quality cement as the substrate. It is essential that you use high-quality cement for the best results. Make sure that you use a quality primer to avoid epoxy floor malfunctions. Floors get subjected to heavy pressure, which can lead to wear and tear. If you use low-quality primer, you will get only poor quality flooring as well. Always ensure that the substrate is compatible with epoxies regarding adhesion as well as tensile strength. A good example is using epoxy flooring on wood. Wood is more flexible than epoxy. When the pressure gets applied on the surface, the wood bends but since epoxy and wood do not have the same tensile, it results in the breakage of the epoxy floor. Some industries may decide to use epoxy flooring material on industrial floors that may be contaminated with all sorts of chemicals or oil. Such floors may contain chemicals that may be reactive with the epoxy material, which could weaken the flooring in the process. If you have been looking to give the flooring of your garage or parking space a facelift, choosing epoxy coating is what you should do. Epoxy offers not only strength and durability but aesthetic value as well.